Ques. In the event of claim being already made, If I want to renew my policy for the second year, do I have to pay premium again? Ans. Yes, you will have to pay the premium every year as the policy is issued for one year (Similar to motor insurance). Some companies like ICICI Lombard even issue policy for 2 years. Ans. Yes, your agent will be helpful but he is getting 100% of his income from the insurance company and he may be getting .001 % of his income from you. If he has to make a choice, it is natural that he will favour Insurance company. You are the best person to decide whether to buy directly from the company or through an agent. Theoretically the agent is supposed to help you in claim settlement but time will tell when the claim is to be lodged. Be positive and buy it through agent but better buy through an Insurance Brokerage Firm as it offers wider choice and is large enough to protect your interests. Ques. What are the minimum and maximum policy durations for Health Insurance? Ans. Normally it is 1 year. Some companies offer 2 years also. Products offered by life insurance companies are of longer duration but payment is to be made every year. Ques. Can I buy more than one Health Insurance policy? Ans. Yes, you can buy more than one insurance policy but the claim should not be duplicated to two insurance companies. Under normal circumstances the claim amount will be shared by both insurance companies in the ratio of the sum insured. Let us say Company A insured you for Rs. 2 lakhs and Company B insured you for Rs. 3 lakhs, then the claim will be shared in the ratio of 2:3. In case you have gone in for a normal policy of Rs. 2 lakhs from Company A and Top-Up policy of Rs 3 lakhs from United, then in that case first Rs. 2 lakhs will paid by Company A and the claim above Rs. 2 lakhs will only be paid by United. Ques. 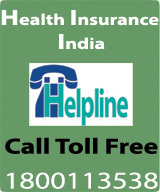 Can I buy health insurance policy if I am not an Indian National but am living in India? Ans. Yes, if you are a student studying in India or working on a valid work Visa then you can get the policy. But if you are a tourist coming to India for 3 weeks, it will not be worthwhile to buy this as 30 days cooling off period itself offsets the benefits which you are looking for. Medical tourism cases are definitely not covered in policy issued in India. Ques. Who will receive the claim amount under health insurance if the policyholder dies during the time of treatment? Ans. Nominee will receive the amount if the policyholder dies during the time of treatment. Ans. It can be possible in exceptional cases only when there is epidemic and no beds are available in hospitals. You must take approval from Insurance Company while undergoing treatment - otherwise your claim will be rejected. Ans. No purpose will be served by seeing your doctor. You should consult an insurance brokerage firm and buy a health insurance policy which should be in place 30 days before your last day in your present company. This protects your interest. Ans. It depends on the disability. You should buy a health insurance policy. For example - if you are disabled due to poor eyesight, you may not be able to work but you may fall ill and need hospitalization. Ques. Who is a Third Party Administrator ? Ans. TPA is an abbreviation for Third Party Administrator. These companies are BPO of insurance companies and are responsible for coordinating all aspects of claims arising due to health insurance policies. The role of TPA is to coordinate with hospitals with respect to treatment and also pass the bills on behalf of the insurance companies. The actual payment is made by the insurance company. As far as the legal contract is concerned, it is between the insurance company and the person insured. The individual insured will get an ID card issued by the TPA. This ID Card is useful and needed at the time of hospitalization. Ans. In all policies naturopathy is not covered. 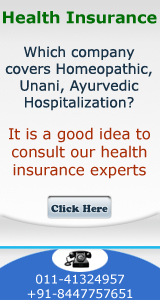 However Homeopathy is now being covered by some insurance companies provided treatment is taken in a Homeopathic Hospital, which is empanelled with the insurance company. Star Health permits use of Homeopathic medicines during post hospitalization period. We foresee more and more insurance companies will start covering naturopathy and homeopathy treatments in future as more and more organized hospitals covering naturopathy and homeopathy will come up.